CEO Sam Palmisano's push into software and services is beefing up Big Blue. Profits jumped 10% last year after rising throughout the recession. 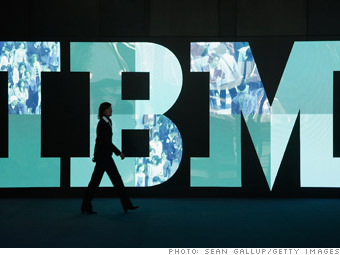 The improving world economy in 2010 had more companies using IBM to handle customer service processes and other tasks. Palmisano says cloud computing and analytics software are the next frontiers, and he's investing heavily in them. IBM's "Smarter Planet," for instance, uses computer technology to monitor road congestion and hospitals.